If there is one thing Texas is known for, it’s barbecue. Texas has some of the best BBQ places in the nation. Bryan College Station is no exception to this rule of thumb. We went around BCSTX to ask just a few of our Pit-Masters for some tips and tricks for those of us less knowledgeable in the trade. Our first stop was C&J BBQ. C&J started in a gas station in 1981. It has come a long way since then, with 3 locations in the Brazos Valley. C&J still holds true to that down-home Texas charm, serving up brisket, sausage and other BBQ essentials to the Aggie faithful. Justin Manning, GM of C&J BBQ, gave us the low down on some tips to keep your brisket safe in the smoker. We then went over to DBQ BBQ to meet with owner Derrick Barre. Derrick had some great tips for brisket lovers. He is an Austin native and Clemson graduate who decided to come down to College Station and open his own BBQ joint. DBQ specializes in brisket, pork tenderloin, and a DBQ original “Barbecado”, which is a smoked avocado on a bed of beans with your choice of meat on top. DBQ has been in action for several years now. Take a look at some of the tips from C&J’s Justin Manning and DBQ’s Derrick Barre. We also got in touch with Kreuz Market. They gave us a few helpful tips as well. Practice, practice, practice – the key to good BBQ is practicing over and over again to make sure. You can then tweak your methods and find what you want. Always wrap meat in butcher paper. This keeps the moist. Kreuz’s original location was old fashioned. No forks. No sauce. Just right BBQ. They have changed their position of “extra” when moving to Bryan. They now offer forks and BBQ sauce for those so inclined. Kreuz will also bring back its football season specialties such as Brisket Frito pie, smoked chicken tacos, and pig wings. Aggieland is home to many other BBQ greats. Fargo’s in Downtown Bryan has been ranked as one of the top BBQ joints in the nation for several years running. Kreuz is also one of the top BBQ restaurants in the state, and they have a location on Highway 6. 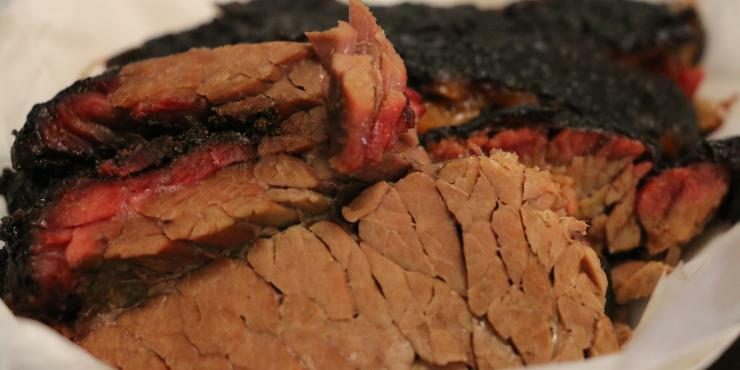 College Station is also home to Buppy’s BBQ, J. Cody’s, Lamar & Niki’s Pit Barbecue and Soul Food, Sodolak’s Beefmasters and Texas chain Rudy’s BBQ. Whether you’re cooking it up for a tailgate, or just dropping into BCS for a weekend trip, swing by any of our BBQ spots for a great meal and maybe a few tips too!